While Jack was off somewhere trying to get a lead on his latest car-crime case I, Jim Myers, his loyal servant, have been out having some car-related fun myself. 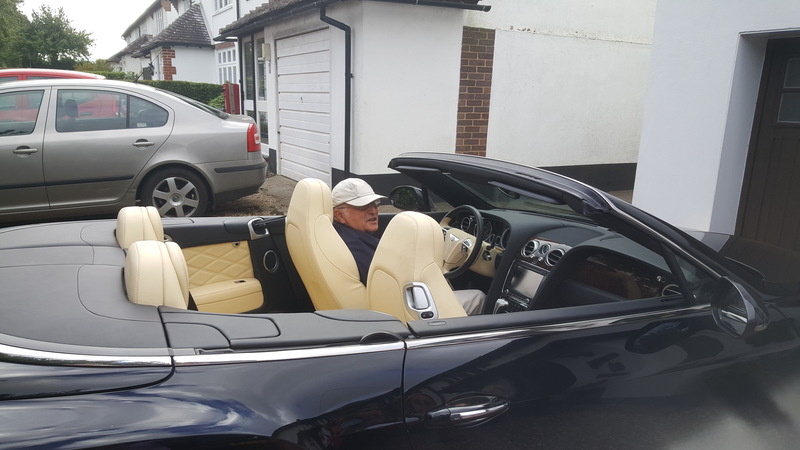 Thanks to a family connection with the Bentley factory I was recently chauffeured from my home to a family barbecue to include a brief (but fast) stretch on the M20 in a Bentley Continental GT V8 Convertible. It was a real treat to savour the powerful and refined sense of being king of the road. And, yes, the dashboard clock is by Breitling!